We are committed to helping preserve the planet and Cumbria's natural heritage. Reays are fortunate to be based in England's most beautiful county - home to the world-famous Lake District. We are very conscious of the importance of looking after our natural environment and maintaining Cumbria's unrivalled beauty, which means thinking long and hard about how, as a business, we operate within it. We have adapted and continue to promote environmental awareness within the business and to our customers. All our touring coaches meet Euro 6 standards for low-emissions and fuel efficiency and are a maximum of three years old with modern engines to further reduce pollution. Our drivers are trained to drive as safely and as environmentally friendly as possible. 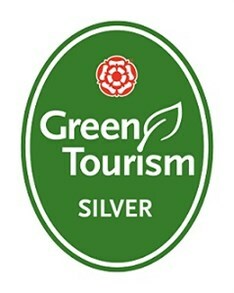 We are extremely proud to have been awarded Silver level status in the Green Tourism Business Scheme for the eco-friendly standard of Reays Travel Centre in Carlisle. Our city centre office in Devonshire Street operates a strict recycling policy for paper, plastic cups, cans, mobile phones and printer cartridges, which are taken away by Carlisle City Council. Our tour brochures are printed on FSC (Forest Stewardship Council) paper, which means that the paper used for printing is from responsible sources. We also prioritise working with hotels who are also in the Green Tourism scheme when we book accommodation for our holidays and mini-breaks. We want to keep Cumbria as beautiful as it is now for future generations to enjoy and you can help us do this.